Is it important to complete the resting days in between the practices? Yes. After receiving any kind of attunement or new energies, it is very important to move through the prescribed periods of 'rest & digest'. This time period helps us to assimilate the new energies as our energy system is given time to clear away impurity, imperfection and darkness from within. These resting periods will also allow some time for the necessary energetic changes to take place within, which can then help you to ascend into a higher energetic vibration. In addition, there have actually been times where the Ascended Beings have explained that the resting periods are actually even more important than the symbol practices! This is because the energies from the symbol practices are still moving and helping to clear away impurities which will be helping to guide you towards the important ascension and vibrational uplift (which often occurs during these resting periods). As such, as you move through these resting timeframes, it is also possible that you will experience a healing crisis (or crises) as these older, stagnant energies are being released from your energy system and as you are being uplifted into a higher energetic vibration. Therefore we do lovingly request that you please adhere to these resting timeframes wherever possible and please do avoid the temptation to 'speed through' the learning, healing and ascension process. 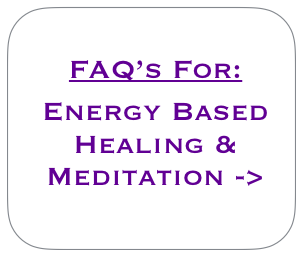 If you are feeling this temptation, we invite you to read through the analogy provided by Higher Consciousness in this FAQ which can help you to understand how this can be detrimental for your journey forwards. We also lovingly suggest that you please listen to your body during these 'resting' times so that you can treat yourself gently and with loving kindness wherever possible. For example, if you are feeling like some extra pampering during these times, then please enjoy this with much love in your heart. If you are feeling like you need a few days of 'R&R' then again, please enjoy this time knowing that you are healing, expanding and ascending on your journey forwards.